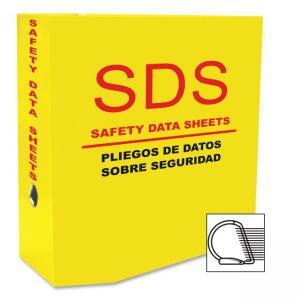 D-ring binder is especially designed for Safety Data Sheets and labeled as such in English and Spanish on the front. The spine indicates the function in English. 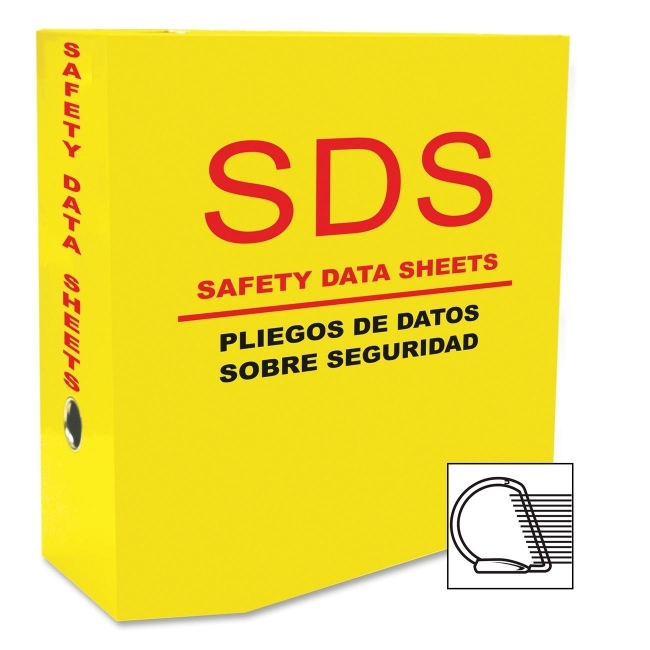 Highly visible yellow color makes the binder easy to find. Heavy-duty, recycled paperboard core is covered with PVC-free, linen-embossed polypropylene. One inside pocket on the front cover will hold approximately 10 sheets of letter-size paper. Design also features exposed rivets and heavy-duty, three-ring mechanism. Back-mounted rings allow the pages to lie flat. 4" binder contains recycled material and low VOC-emitting material per CA Section 01350 plus low TVOC.